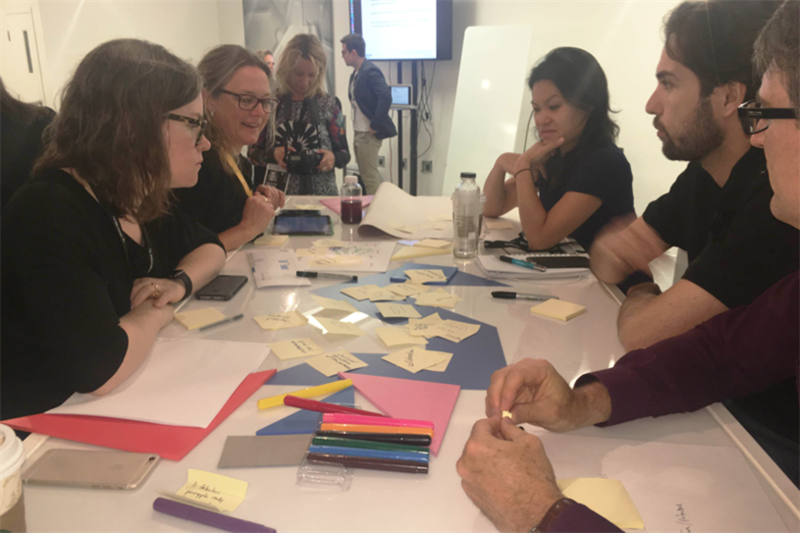 All working in intimate groups, the workshop is designed to allow business leaders to tackle topics head on, openly and creatively. Gone are the days where it was enough for a football team to partner with a beer brand purely because — to live up to the stereotype — football fans really like beer. Good partnerships and content creation must be socially responsible and serve society. How can this partnership improve the lives of others and share the benefits with society? Culture shapes content, so content creation isn’t what it used to be. The consumer owns this world and holds the ultimate power. So reacting and moving at their speed is a fundamental pillar to success. Partnerships require mutual benefits, trust, transparency and one of the most important factors — complementary skillsets. This is an issue a room full of global leaders tackled at the C2 conference in Montreal. Keurig, a coffee system brand, ran the workshop. It teams up with farmers and other complementary partners for mutual benefit and success. And the workshop aimed to give participants the key pillars to what makes partnerships successful. Who’s doing it well right now? And what will the future dream partnership look like? The #BringBackTheBees campaign by Cheerios is one example of a partnership with a greater agenda than just brand awareness. By partnering with a cause that directly affects the honey cereal brand - Cheerios is raising awareness of a wider issue. Shared DNA. The partnership must be built on similar values and with cultural synergy. It’s 50/50. There must be a mutual benefit with clear expectations for every party. A partnership is for life, not just for Christmas. It must not be seen as a short-term fix. Trust and transparency. Each party must be willing to share, not keep any secrets and be trusted. Be honest with your comms. A helping hand to build each brand. The partnership will not work as well unless each party helps the other build their brand and help them up the ladder of success. This comes through sharing resources, expertise and help when help is needed. Respect boundaries. Set out clear objectives from the beginning and ensure each party understands the line. Complementary skillsets. This is the underpinning pillar to a modern day partnership. Like Cheerios and Save The Bees, complementary skillsets mean an authentic partnership that is more likely to resonate with consumers.